This topic always reminds me of Madonna. Her song “Express Yourself” talks about how much better you feel if your man tells you how he feels about you and what he does for you. Most importantly, it also states not to settle for second best. How do you express yourself? Do you need a partner to make you feel like you are heard and loved? Do you ever put yourself first? Most people think that to “express themselves” they need to talk or be heard. Is this you? Does your feelings of worth depend on how many or, if anyone, is listening to what you have to say? Does the response matter to you? Perhaps looking at this another way can be helpful. While it’s important that we are all heard, there are other ways to express yourself that will leave you feeling great about you. First, let go of the expectation of the outcome by being confident enough in your own skin. Secondly, think of other ways to express. Perhaps simple things such as how you smile at a stranger, how you walk, dance, sing or carry yourself. Even, yes, how you dress or do your hair. It could also be something you write or create. There are so many different ways to do this without relying on someone else to validate you. So, the next time you need to express who you are, try something that makes you feel great about yourself and impress you. It’s a guarantee that you will feel the most validated and expressed ever! Madelon Hassberger, Holistic Esthetician, LMT is a graduate of Ferris State University, French Academy of Esthetics, Naturopathic Institute of Therapies and Education and former owner of Holistic Care Approach. 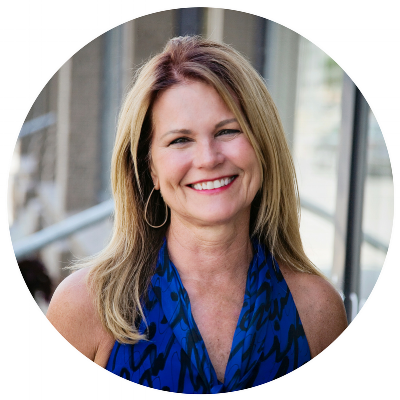 She is a licensed esthetician, licensed massage therapist, certified microcurrent therapist, certified CranioSacral therapist, facial lymphatic massage therapist, and Energy Touch practitioner. She is currently practicing esthetics, microcurrent and CranioSacral work at Grand Rapids Natural Health. Skincare is a passion and she is inspired to use high-quality ingredients that are healthy for the skin. The microcurrent can give the face a “lift”, the facials improve skin appearance and tone and the cranial work helps the body to heal by relieving tension and stress in the dural tube.